Me: I’ve had a few flares in January or felt like I was going to have one in high stress situations, but none since then. Nothing. I feel human again!? Dr: that’s amazing! I’m so happy for you. Me: is it possible I’m in remission? Dr: yes! Let’s do some bloods today because they’ve not been done in a while. Me: ok! So, if I’m having no flares I’m in remission! I’m so happy! Dr: well, I’ll see you in six months. …I was so happy. I can’t express how pleased I was to think I was in remission. Some days my joints are so swollen I can’t leave my bed, other days I can’t do simple things without crying silently, such as turning on a light switch because my fingers are too swollen. The rash that I get in a flare has already scarred the tissue on my face across both of my cheeks and my nose. It is the Lupus butterfly rash, but scarred, on my face, the place where people most often look at me. Granted, I can cover it up with make-up on my face! 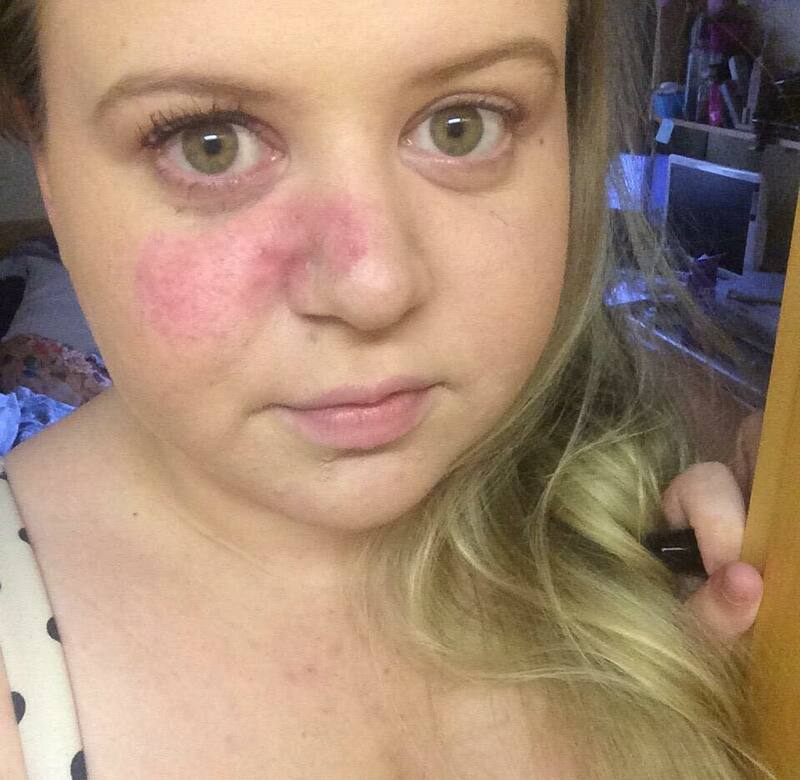 Makeup VS Butterfly Rash. I did my makeup and it covered my rash up like magic! I have finally perfected my technique. I swiped away a section so you can see the difference it makes. I told my friends and family about my remission and they were all so pleased for me. My beautiful friends made such a fuss about how they were happy for me, friends suggesting we do gentle celebrations such as a night in. 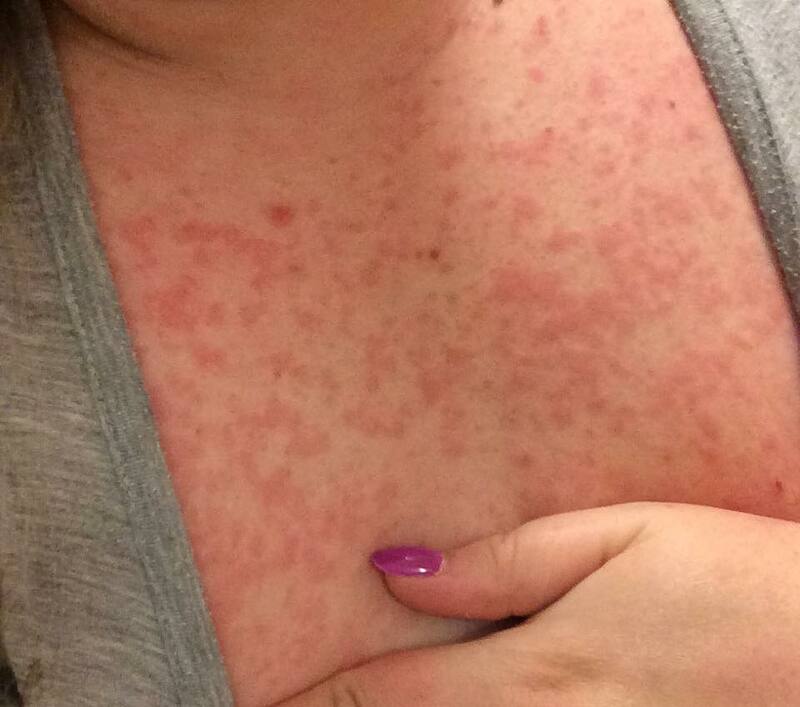 A friend, a week later, even took me out for a meal to celebrate, and Lupus ruined it. Friend: Beth, what about some dessert? My poor friend. I know she doesn’t mind and she was being reassuring that I was maybe just a little paranoid and should enjoy the night. I tried to convince myself openly to friends and family, after explaining to them that I have a rash, that I probably just “have allergies to pollen”, maybe I’m sensitive to the “detergent on my clothes”, oh it’s probably “something I ate” and maybe even “dust in my new flat”? *ring ring* Hello, Beth. Yeha? This is denial speaking. I know exactly what it is and it upsets me to say this but I feel I need to say it to feel like I’ve acknowledged it, so I can overcome the denial: I’m not in remission any more, and I am very upset about it. I am an exquisite dot to dot puzzle, in human form. As I lay in bed writing this at 7am I am constantly reminded by the rising sun that it is morning and I’ve yet to have my bedtime. I simply cannot sleep. This stupid lupus rash is itching so much that I wish I could shed like a snake. I’m itching everywhere. I mean EVERYWHERE. I’m beginning to believe that I am really just the worlds only human dot-to-dot puzzle and that I’m entitled to a Guinness Book of World Records title for my rash, or maybe the award for the worlds shortest remission. I have had this awful disease for two years in this coming August and I still struggle to find the strength to accept that I am sick and I will never be better, that this will never go away despite the possibility Lupus may become dormant for a while. It petrifies me thinking of the damage this autoimmune disease could be doing inside my body, making life changing problems that could potentially kill me. Then again, stepping out to cross the road could also kill me so I can’t think like that. My heart hurts knowing that what happiness I had for being in remission was short lived. Goodness, I’m welling up just writing this post about it. I am angry. I am angry at Lupus. I am angry that Lupus makes me sick. I am angry that Lupus makes my skin look ugly and therefore people stare. I am angry that Lupus diminishes what confidence I have, but I am not angry at myself. My fellow chronic illness sufferers, be that Lupus, Paralysed Vocal Chords, Thyroid problems, Depression, Anxiety, Cancer, Fibromyalgia, Nystagmus and so on, never ever be angry at yourself for what your illness does to you. I plead with you not to be angry at yourself, because as soon as you get angry at yourself for something you cannot help; you lose. It is endgame. You hate yourself more than your troubles are worth. I know it is tough, but do not let your illness control you inevitably. I believe in you, and I believe in myself. We are more than our illnesses and I love each and every one of you fighting your battle. Never be mad at what you can’t control, because life is already giving you a beating and you don’t need to take one from yourself. That simply isn’t fair on you. Somebody once told me things always happen when you least expect it, even if its just something that makes you smile.